I’ve destroyed everything in my life and now I’m left with nothing. And I’m not sure I can ever be found. His gentle eyes watch me from behind the window, the boy shrouded in mystery. I wasn't expecting what happened when our worlds collided. His storm to my calm. His dark to my light. I try to hold everything together. To put his life, and mine, back together. But everything falls apart. My family. Him. Me. And I'm trying to pick up the pieces. When I read the synopsis for this book I knew that it would be an emotional read and would deal with some tough issues. But I don’t think I was prepared for how emotional it was at times and the deeper issues that were explored in this book. This book is certainly emotional and heart breaking but also beautifully written. But at the same time it isn’t one of those books where the storyline is completely surrounded by heartache. It is a story about guilt and how you move on from it but it is also about survival. How a young boy learns to move on from the tragedy that happened in his life and how to survive through all of the pain and guilt. 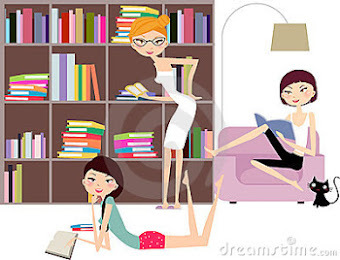 But it is also a love story and a wonderful story about friendship. Will, oh how that boy just captured my heart. He was basically sheltered by his parents, being home schooled, never allowed to go out with anyone and therefore really had no friends. He didn’t get to experience the world outside of his home like most children do. As a teenager he made one bad decision that cost him everything. He lost his parents in a tragic accident and has not been the same since. He moved away from the place he called home to go live with his Aunt. He is still trying to deal with the loss of his parents and tries sheltering himself from the outside world. His aunt encourages him to go out, to meet the neighbors, but for Will, staying in his room seems like a better plan. Until one day he looks out the window and sees her. Ryanne and her brother Jax live next door to Will and his aunt. They quickly become friends with Will, but the feelings between him and Ryanne seem to be more than just friends. But Jax and Will become best friends and Jax may have issues with is sister dating his best friend. Honestly Jax and Ryanne were exactly what Will needed. They knew a part of what had happened and knew he was grieving. Jax was very protective of him and did not want to see him get hurt. He is already going through enough pain. They were amazing friends who were very supportive of Will. Ryanne and Will eventually give into their feelings and Jax sees that maybe he was wrong. But no matter how happy Will may seem with Ryanne and Jax as his best friend, he is still grieving and starts to find away to cope with that grief. Will is so broken inside from what happened to his parents. His coping mechanism seems to help with the pain, making him feel numb but there comes a point where you realize that the way you cope with life’s curveballs may not be the best way. And you realize that things are far worse than you thought and you need help. Will has a tough road ahead of him. He needs to learn to heal. But he also needs to learn to lean on the people that care about him the most. Ryanne and Jax want to protect him, support him and love him. They want to help him move on, but they cannot do that if he does not let them. Will Will be able to move on from the pain and the guilt of losing his parents, and learn to be happy and let people in? This book is an emotional one and as mentioned earlier does deal with some deep issues. Ryanne and Jax were two supporting characters that I loved. They have their own family issues with a father who is never home and a mother who left them a long time ago. But they have a great relationship with each other and together they are exactly what Will needs. Will had lived such a sheltered life that love and friendship is something that seems so foreign to him. The one friend he did have ended up betraying him. So letting Ryane and Jax is hard for Will but slowly he sees how much they love him and vice versa. He has an amazing support team. His aunt is young and single and never had to take care of anyone before. But the amount of love that she has for Will is evident in her actions. She wants him to have a life and find friends but she is also protective of him. She loved him unconditionally and wants the best for him. 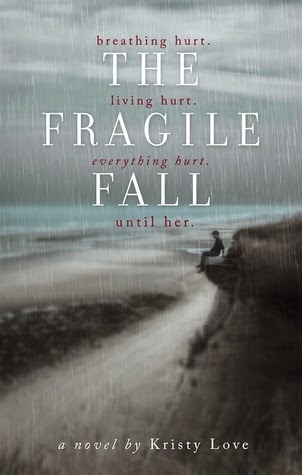 The Fragile Fall was a beautifully written story and one that got me from the very beginning. I felt the emotions that these characters felt. I felt the pain right along with Will. I wanted to be able to just hug him and tell him that it would be ok. A job well done by Kristy Love. I think my only issue is that I would have loved to go a little further into Jax and Ryanne’s family issues but I am hoping that we get some of that in Jax’s book. I look forward to reading more from this author.